If you’re interested in Theatre or the performing arts, you won’t have to travel far. Rhode Island is home to many different performing arts venues that always have something different to offer. If you’re planning on visiting Providence or Rhode Island soon, you should check out these different venues to see if there is a performance during your visit! 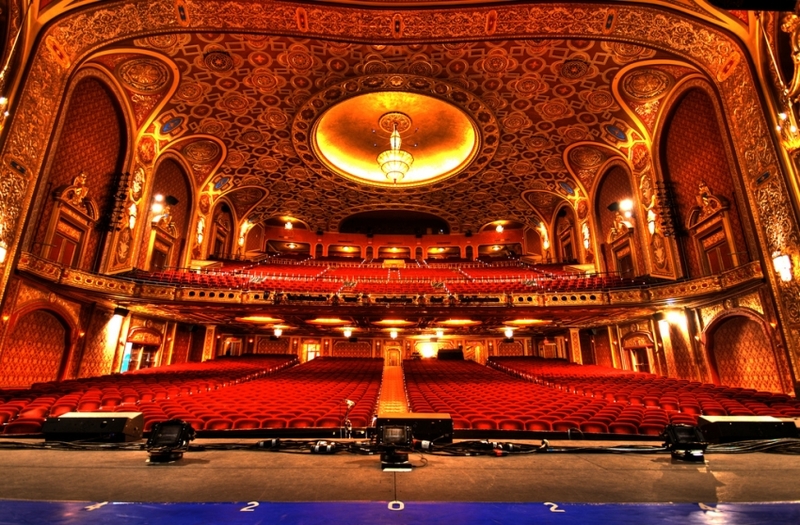 Providence Performing Arts Center – PPAC is the most popular theatre in Rhode Island. This 3,100 seat theatre becomes home to several different touring Broadway shows throughout the year. The beauty of PPAC with its elegant and historic feel makes seeing a show at this theatre feel like you are actually on Broadway! There’s a lot to do this upcoming weekend in Providence. Between Farmer’s Markets and Concert Series, there is always something going on! Check it out. KidInfo StoryTime + Art in the Park At 10:30, join us for STORYTIME in Burnside Park while local authors, illustrators, storytellers and performers bring stories and books to life! Stay for ART IN THE PARK where resident creative genius Ricky Katowicz leads us into The Great Green Room! Visiting Artist Program Workshop 3:00, participants will create their own textiles during this workshop. Armory Farmers Market 3:30 p.m.
2015 Burnside Music Series 4:30 p.m.
Gallery Night at the Whitehorne House 5:00 p.m. Enjoy Newport’s only Federal period mansion open to the public. Paddle into the Past: Lower River, Native American History and Archaeology 5:30 p.m. Join us for a Friday evening paddle through Providence. Joseph N. (Jay) Waller, Jr. is a senior archaeologist with The Public Archaeology Laboratory, Inc., will share how the river changed from European settlement to industrialization to present. Broad Street Farmers Market 8:00 a.m.
Manton Avenue Project Plays 6:30 p.m. The Manton Avenue Project (MAP) is proud to announce that plays from their most recent festival, “This Land is Our Land: the public park plays,” will be presented in a summer series as part of the 50th anniversary of the Roger Williams National Memorial. Shakespeare in the Spirit 7:30 p.m. This year’s concert,Shakespeare in the Spirit, blends gospel music to scenes from Shakespeare and both soar to new and unique heights. An Evening with Amanda Palmer and PWR BTTM 9:00 p.m. The Providence Flee 10:00 a.m.
Alex and Ani Sunday Jazz Series 1:00 p.m.
Shakespeare in the Spirit 3:00 p.m. & 7:30 p.m. This week is filled with lots of live musical performances as well as storytime for the kids. Sit back, relax, and enjoy what the local music scene has to offer! This week is filled with lots of live musical performances as well as storytime for the kids. Sit back, relax, and enjoy what the local music scene has to offer! As always, if you have any upcoming events to suggest, feel free to drop us a line. Presented by The Wilbury Theatre Group, FRINGEPVD is Providence’s 1st Annual Fringe Festival, bringing over 50 performing and visual artists from Providence, Boston, New York, and beyond together in over 30 performances in 5 venues from July 23-26. Come to Storytime and Art in the Park: BIG NAZO this Thursday, July 24th and enjoy child-centered art from local performers and artists! Then, join Ricky Katowicz for “Art in the Park: Maurice Sendak’s Wild World!” free face painting, a mobile playground, and the free green grass of the park keep kids of all ages entertained. Grab lunch from the food truck market for a picnic in the park! This Thursday, July 24th, come to an afternoon performance of Girls Rock! Rhode Island from 4:30-7:30pm. Featuring special guests Glttrghost and Neon Boots. Join the Burnside Park Music Series for an awesome showcase of Girl’s Rock! Rhode Island’s participants, as well as the world debuts of Glttrghost and Neon Boots. This week, The Bread Lab presents jazz pianist Travis Colby. Join them this Thursday, July 24th for an after work celebration of food, music, and cocktails! Live music will be playing from 6-8pm, plus $5 cocktails and food specials. All ages, kid-friendly, no cover! Join us for the Concerts under the Elms, an annual outdoor summer concert series held Thursdays under the canopy of elms at the John Brown House Museum. Tickets are $10, free for RIHS members and children under 12. Bring a lawn chair, a blanket, and maybe even a picnic dinner and sit on the lawn at the beautiful Roger Williams National Memorial and enjoy FREE concerts by some of the best songwriters Rhode Island has to offer. Check out performances by Jesse and Jack Gauthier, Dan Lilley and Scatman, Lisa Markovich, and Bethel Steele. On Saturday, July 26th 2014, Gilead Sciences will sponsor a WaterFire Providence full lighting. The lighting will begin at sunset, around 8:11pm. We will have resource fairs and screening tents for Hepatitis C located on College Street, in collaboration with RI Defeats Hepatitis C.
Join us on the Greenway every Sunday through September 14th from 10 am – 4 pm on South Water Street.The Flea has a vintage theme. Antiques, collectibles, vintage wares, vintage jewelry or clothing, upcycled or recycled items can be found at The Flea. A small and carefully selected group of local artists’ and artisans’ wares, and local, independent service providers can also be found at The Flea. Join Mayor Angel Taveras and the City of Providence for a car-free event that will open up Broadway for walking, skating, running, cycling and exercise. Free and open to the public! Featuring Zumba, bike activities, street vendors and more! The Sunday “Opera in the Park” series will be held at Hopkins Park at the intersection of Branch Avenue & Charles Street in Providence, RI. Hopkins Park provides a great venue with plenty of room for families to enjoy a free concert. Bring your lawn chairs and blankets and enjoy the music! Sure to be a great, fun-filled event for the whole family. Providence Skyline at Night by Marianne Lee, via Associations Now.